Mayor Sandy Stimpson this week presented the Mobile City Council with a $252 million fiscal year 2018 budget his office said focuses on the core functions of government. The city will have to do more with less, as the 2018 general fund budget reflects a decrease of about $300,000 in projected tax revenue when compared to 2017 actuals. The 2018 budget reflects about a $10 million drop in tax revenues, as compared to the 2017 adopted budget. To accommodate for the lack of growth, Stimpson proposed cutting departmental budgets by about $3 million compared to the 2017 adopted budget. While departmental spending is down compared to the 2017 adopted budget, the 2018 spending plan shows an increase in departmental spending when compared to 2017 actuals. The departmental totals run about $167 million in the 2018 budget, while projected 2017 actuals show departmental spending at roughly $161 million. The 2017 adopted budget had departments spending roughly $170 million. While revenues are projected to be down this year, Stimpson is still pumping $1.7 million into the capital improvement fund. The available funds in the motor pool will allow the city to purchase $6.7 million worth of new vehicles. This year also marks the last planned installment of the city’s capital improvement plan, or CIP. For three years, revenue from a roughly 20 percent sales tax increase has been split among the city’s seven districts and the mayor’s office to put toward projects such as street resurfacing and parks. There has been no public discussion yet about whether the tax increase will be carried over. Several councilors seem to favor extending the tax increase further, if not indefinitely. For capital projects that are not part of the CIP, the city is using about $5.7 million of the county’s pay-as-you-go allotment to help leverage federal funds for projects along Zeigler Boulevard and McGregor Avenue, totaling more than $28 million. The city will also use capital funds to perform what Stimpson has called the first public buildings assessment in the city’s history. The assessment will help the city determine what to do with public buildings, including the Mobile Civic Center. The mayor’s communications department saw an increase from 2017 actuals of $511,000 to 2018 projections of $692,720. Sapp said the reason for this is two employees have been added to the department, Anitra Henderson and Ryan Flynn. The public safety administration line item also saw a jump in the 2018 budget. Funding in the department increased from $177,426 in the 2017 adopted budget to $255,213. The main reason for this is Public Safety Director James Barber — formerly the city’s police chief — is taking home a $150,000 salary while the former director, Rich Landolt, received just $118,000. The line item also includes the salary of an administrative assistant for Barber, Sapp wrote. The Mobile Fire-Rescue Department requested less in its 2018 budget, Sapp wrote, a reduction of about $900,000. The Mobile Police Department, on the other hand, will see an increase of just over $100,000 in its budget in 2018, if the proposal is adopted. Performance contracts were basically level-funded in the proposed 2018 budget, Sapp wrote. No new applications were received or solicited. The city has budgeted more than $2.2 million for the Mobile Museum of Art and nearly $1 million for GulfQuest Maritime Museum of the Gulf of Mexico. GulfQuest remains open four days per week and has a staff of eight. The 2018 budget maintains the one-month operating reserve of about $20 million, but reduces the unrestricted fund balance by about $4 million. The city was able to balance the budget by not funding unfilled positions and did not lay off any employees, Sapp wrote. Currently there are no planned changes to Stimpson’s executive staff. 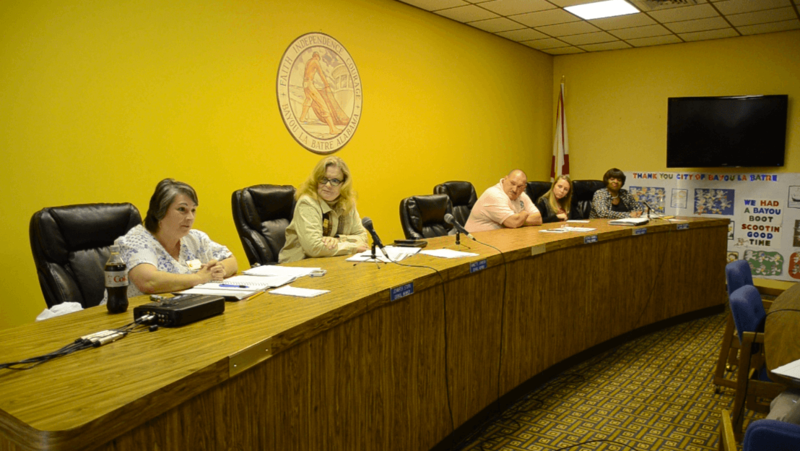 The council took its first look at the budget during a finance committee meeting Tuesday afternoon. A public hearing on the spending proposal is planned for Tuesday, Sept. 5, during the regular 10:30 a.m. council meeting on the first floor of Government Plaza. The first reading of the budget will occur the same day, with an expected vote on the spending plan slated for Tuesday, Sept. 12, or Tuesday, Sept. 19.